While most small business owners might simply file incorporation paperwork with the state government where they live, there are countless businesses that file for incorporation in a state outside their zone of operation. In fact, Delaware has 1 million companies formed within its borders, and it's the nation's second smallest state. Arizona is another popular destination for those incorporating a business, but what makes the Valley of the Sun an opportune location for filing business incorporation papers? While the temperatures might soar into the 100s on a consistent basis during the summer throughout Arizona, the state has been ranked the #1 Hottest State for Entrepreneurs in recent years by both Entrepreneur Magazine and NPRC (2005). The state was also ranked 4th overall by CEOs in a list of Best States to do Business, and the largest metropolitan area in the state, Phoenix, ranked 16th overall and 6 th in the large city category by Inc. Magazine’s Best Places for Doing Business in America ranking. 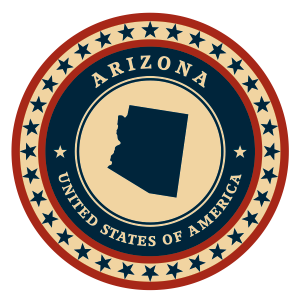 Like many other states, incorporation in Arizona entitles you to protection under the law. Arizona law allows you to keep your personal assets and property separate from the assets and liabilities of the business itself. Arizona doesn’t quite have the taxation structure for businesses of Delaware or Nevada, the top two states in the nation for incorporation, but it does have a competitive environment in this regard. Arizona is one of the most affordable states to incorporate in, with the standard statutory fee running just $60 to file. On top of that, your business enjoys the benefit of qualifying for an intrastate securities law exemption from day one. One of the more advantageous reasons to incorporate in Arizona is the lack of re-registration. Your business won’t be considered a foreign company just because it isn’t located in Arizona. So if you do business in Arizona, in addition to other places, you won’t have to file re-registration paperwork. If you filed in Delaware, you’d have to undertake this step to conduct business in Arizona. Of course, there are also benefits to your overall taxation. Arizona allows entrepreneurs the freedom to choose whether to form as a C-corp or LLC. Keep in mind that the type of business structure you choose will impact your taxable status. C-corps are charged based upon business income, while LLCs are charged by the personal income of members. On top of the many benefits already covered, incorporating in Arizona comes with no residency requirement. You don’t need to live and work in Arizona to incorporate your business there, you’ll just need to have a registered agent in the state capable of handling business taxes and filing requirements. Filing incorporation papers in Arizona also comes with the benefit of credibility. The ability to open a US bank account puts your business in good standing with clients and creditors, and the state double checks all submitted names to avoid confusion and brand misidentification. Arizona regulations stipulate that LLCs must use Limited Liability Company, Limited Company, or abbreviations of LC, L.C., LLC, or L.L.C. in the title, while C-corps must include the terms Association, Company, Corporation, Incorporated, or Limited within their names. The use of Bank, Banc, Bancorp, Deposit, or Trust anywhere in the name of either structural entity must be approved by the Department of Banking. If you’ve been considering a place to launch your new business, then consider incorporating in Arizona. You’ll find a business-friendly environment that is booming with potential and a welcoming tax system that respects your company’s right to hold onto its profits. LLCs must contain the terms “Limited Liability Company”, “Limited Company” or the abbreviations “LC”, “L.C.”, “LLC” and “L.L.C.”. The word “Association” cannot be used in the LLC name and the terms “Bank”, “Banc” and “Bancorp” need approval from the Department of Banking. If you decide to incorporate an LLC in Arizona, then you must file a report called the Articles of Organization. The information that must be listed on this report varies from depending on what type of business is being operated. LLCs based in Arizona are not required to file an annual report. The Articles of Organization must contain the name and address of a registered agent which resides in Arizona, and which is available to manage legal and tax business documentation. For more help with the incorporation filing or for registered agent services feel free to contact Inc. Plan (USA). Arizona doesn’t charge LLCs based on the business income, but domestic and foreign Arizona LLCs are classified as partnerships or corporations for the state’s tax purposes. Therefore, LLC members will be submitted based on their personal income tax return, up to a rate of 4.54%. Additionally, LLC members have to include in their taxable gross income their distributive of the LLC revenue. The state requires an EIN for Limited Liability Companies which hire employees. An EIN is also needed for opening a US Bank Account. Each of the 50 American states has its requirements for incorporating. The essential requirements for C- corporations established in Arizona are as follows. Arizona allows organization names that include the terms “Association”, “Company”, “Corporation”, “Incorporated” or “Limited”, along with their abbreviations. However, it restricts the terms “Bank”, “Banc”, “Deposit” or “Trust” unless the company obtains an approval from the Department of Banking. Also, corporation names must not be confused with any domestic, foreign, profit and non-profit corporate names, as well as with limited liability, registered trade and forced fictitious designations. In order to form a corporation in Arizona, entrepreneurs must file a document called Articles of Incorporation. Additionally, the state requires firms to publish a notice of incorporation within 60 days, in three consecutive publications in the location where the business is established. An annual report and a Certificate of Disclosure must be submitted on a date assigned by the state at a $45 cost. The Articles of Incorporation require a listing of the company’s authorized shares and per value, the names and addresses of managers, as well as the name and address of a registered agent with a physical Arizona address. Inc. Plan (USA) can help you with the necessary filings and also with qualified registered agent service. Domestic and foreign corporations are subjected to the Arizona income tax. The tax is $50 minimum and is charged at rate of 6.968% of business earnings. The corporate income tax return must be filed with the Department of Revenue on the 15th day of the fourth month following the close of the taxable year. If you plan on hiring employees, Arizona law will ask you for a tax identification number (EIN).